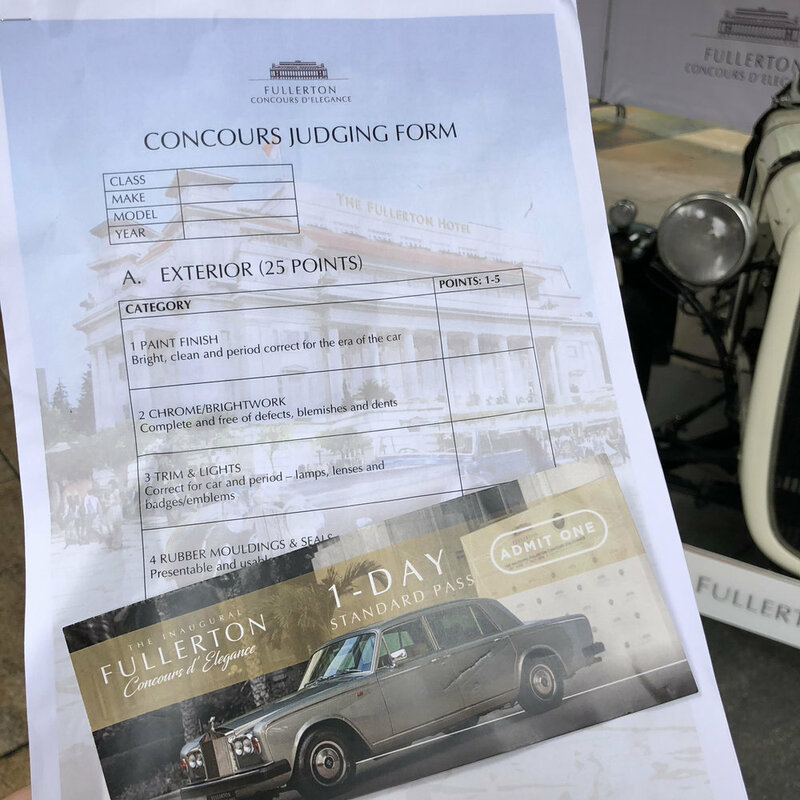 The neoclassical Fullerton Building which once housed the General Post Office, The Singapore Club & the Chamber of Commerce, and is now the prestigious Fullerton Hotel, is celebrating the 90th Anniversary of the building with the debut of the Fullerton Concours D’Elegance from 29th June to 1st July 2018. The term Concours D’Elegance (my French friend says the pronunciation should be “Con Cool Del Li Gonce”!) in French means “competition of elegance”. Story goes that in 17th Century France, aristocrats paraded horse drawn carriages in parks in Paris during holidays or summer weekends. Now it is a popular event where prestigious vehicles are displayed and judged. 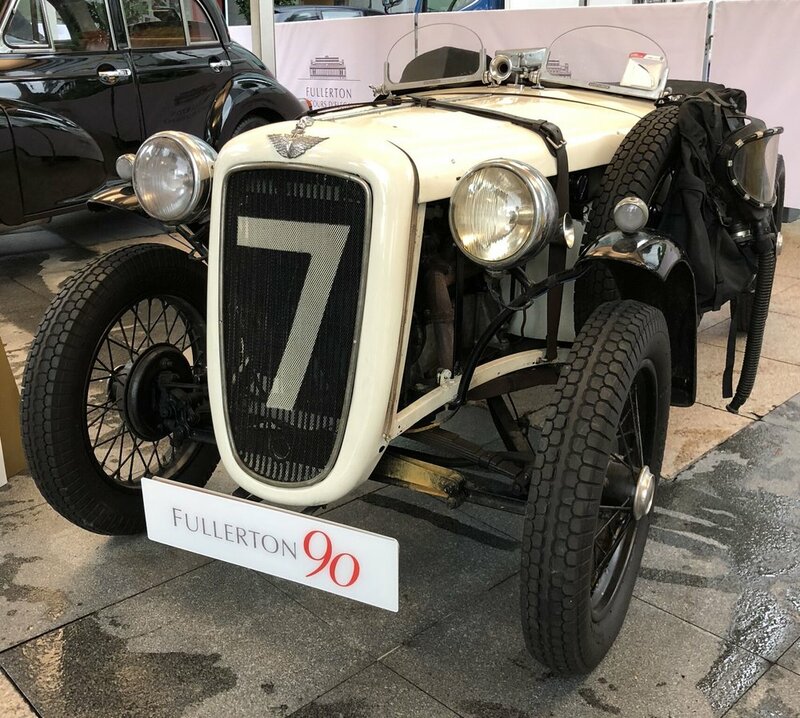 Here over 90 classic, vintage & super cars were on display and 26 of them were competing for the Best Pre-War, Post-War & Classic Car categories! I was shown the “judging form” & saw the judges (all in beige/brown jackets) in action, scrutinising every nook and corner! There were beautifully restored pre-war cars, classic cars (any car above 25 years is considered a “classic”!) and super cars like the new Bugatti Chiron Sport! Below are some of my favourites! An Italian designed microcar on 3 wheels! It looks like an egg and has bubble-like windows (hench the nickname the “bubble car”). Apparently this little baby saved the BMW brand when it was struggling. The door opens from the front of the car and the whole steering wheel & panel would swing out! How cool is that! I like this just because I remembered my mum said my late Dad used to have one of this. This particular car was assembled in Singapore and we can still see the current Singapore license car decal! 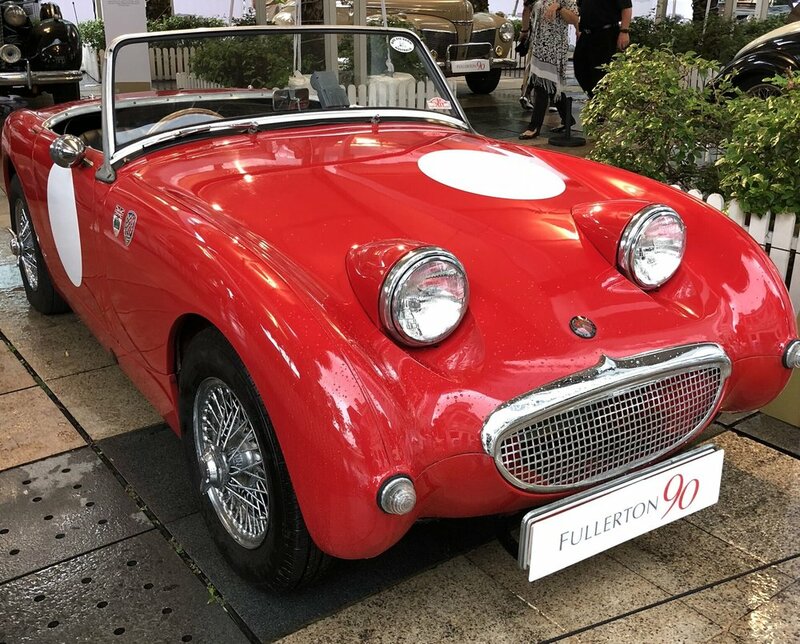 What a cute red car which had a nickname “Frogeye” in the United Kingdom & “Bugeye” in the United States because of the headlights. It was a mass produced vehicle and was one of the most popular cars produced for the British market. Nicknamed the “Baby Austin”, it was licensed & copied by BMW & Nissan Japan and performs very well in motorsport events around the world. I spoke to the Malaysian owner of this vehicle which has a famed license plate JDU877E. This was Jaguar’s “Press Car” used in their publicity promotions, car magazines & advertisements. He has a thick file of all these articles and he did such a great job keeping it in such a pristine condition! Named after the legendary Spanish bull fighting tycoon Don Miura, this particular car was even originally owned by the man himself! This car was able to accelerate from 0-60mph in 7 seconds and can reach a TOP speed of 171mph! Unveiled at the March 2018 Geneva International Motor Show, this is Bugatti’s new ultimate sports car! This “Italian Red” features a read painted ‘16’ to honour Chiron’s 16 cylinders. I will get to own these cars...... in my dreams!